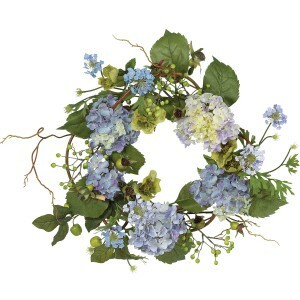 Hydrangeas not only make great centerpieces and show plants but they also make some of the finest wreaths around, as evidenced by this 20″ beauty. 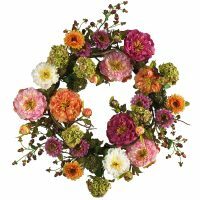 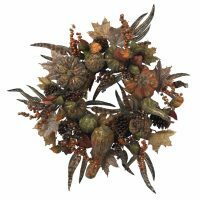 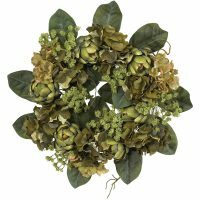 Strong main stems form the base of the wreath, while an abundance of flowers, berries, blooms, and leaves elegantly wrap and twist around, making this one of the most beautiful (and visually interesting) wreaths you can purchase. 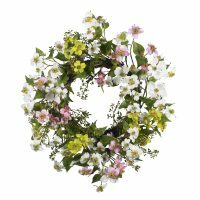 Welcome spring right from your front door, or send one as a gift for that nature lover in your family.